Marion County man charged with child abuse. 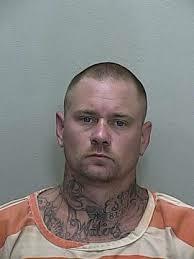 A Marion County man is in jail today on child abuse charges after stomping on the windshield of his girlfriend’s car. According to investigators, Marcus Jeremy Waters-37, returned home to find that his dog was missing after the front door of the home was left open. Waters then became angry and began yelling and swearing at his girlfriend. The incident quickly became violent as she was trying to leave the home with her daughters. That’s when sheriff’s office officials say the woman’s 12-year-old told Waters that he should not talk to her mother that way. Waters then jumped on the hood and began stomping on the windshield of the car causing class to break and injure the young girl. Deputies say they had to pursue Waters with the sheriff’s office air unit, a K-9 unit, and patrol units after he ran into nearby woods. The girl suffered only minor injuries from the attack. Waters was charged with child abuse without great bodily harm and is in the Marion County Jail on a $5,000 bond.